Mental Health related issues in the workplace are becoming an increasing concern and need to be addressed early to protect the health and wellbeing of our employees and fellow colleagues. 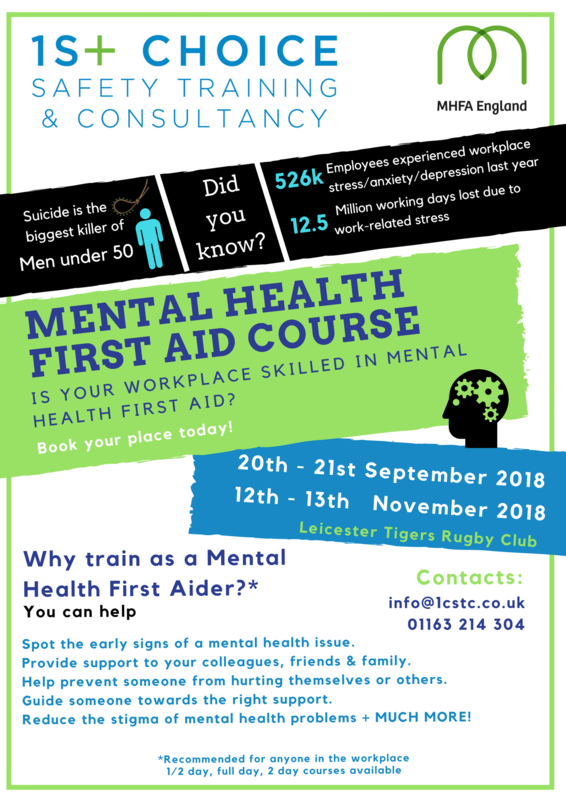 Our mental health first aid course is designed to give you the knowledge and skills to identify the early signs of mental health issues and to be able to confidently provide people with the right support and help. Contact us here for more details!